We are probably more familiar with Steve Martin as a comedian and actor, pursuing roles in films such as The Jerk, The Pink Panther remakes, The Man with Two Brains and Father of the Bride. What he is marginally less known for are his pursuits as a novelist. 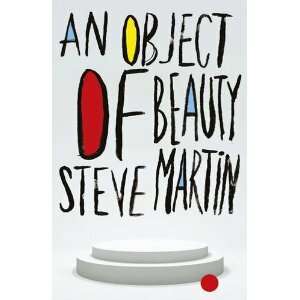 Martin has just released An Object of Beauty , a new novel that attempts to capture the zeitgeist of the New York art world through a female protagonist named Lacey Yeager. During the course of the book, Yeager makes her way up from the basement of Sotheby's to running her own show in Chelsea, but not necessarily on the straight and narrow. The book is told from the point of view of an art writer and admirer of Yeager, Daniel Chester French. The book talks of the rich and famous of the New York art scene and pitches in a mystery artist, named Pilot Mouse, who, it has been suggested, is based on British artist Banksy. The intriguing book has done enough to create a stir in New York, suggesting that Martin knows more than an odd thing or two about the way the New York art world works. Not one for the jargon laden writings of the academic art world, Martin puts his views across with an ease and fluidity that suggests he really takes a great amount of pleasure in art, and the fun and games of the market.